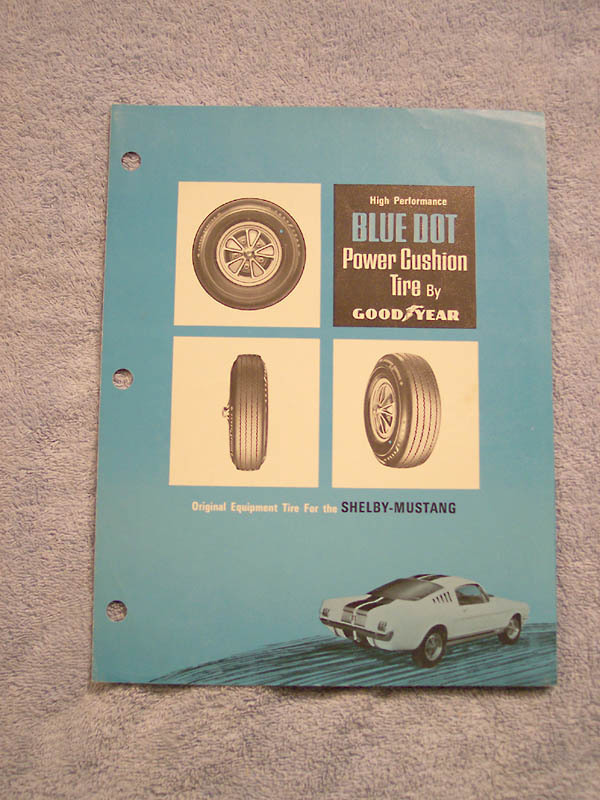 1965 GT350 Goodyear Bluedot brochure. 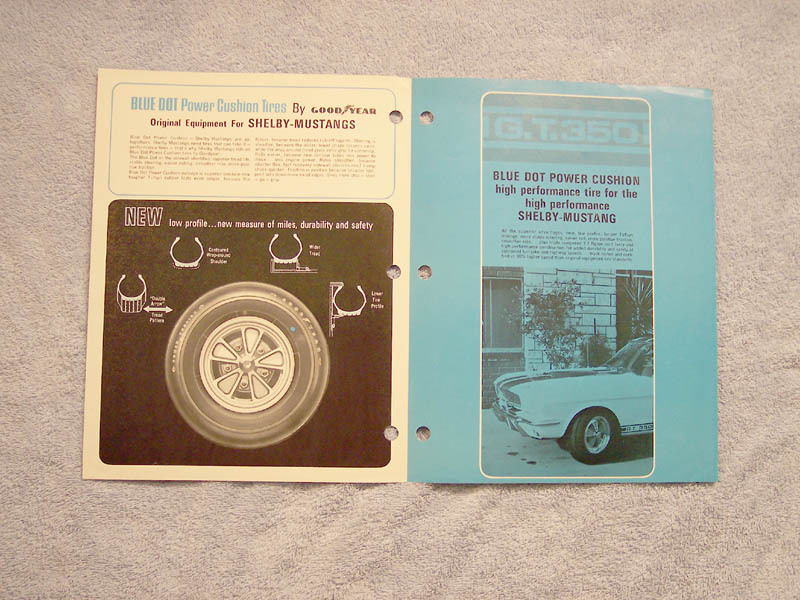 This brochure described the new and unique tire made especially for the 1965 GT350 and 427 Cobra. One photo, taken at the Shelby American Venice plant, shows the 1965 GT350 with it's prototype Cragar wheels. The lower image shows the brochure opened up to this photo.